I recently got a new iPhone Xs and the most logical thing to do is to restore it from an iCloud backup. The problem is I am unable to do it. I can connect the iPhone to a network, view the backups and even select a backup to restore from. But 30 seconds into the process I see an error message saying "cannot restore backup." I have tried everything including resetting the iPhone and nothing works. Can anyone help?" 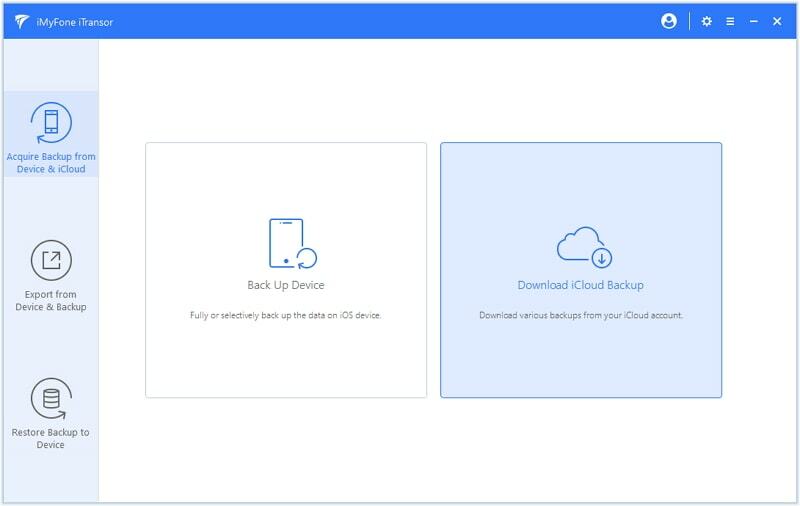 An iCloud backup can fail for a number of reasons and while the problem our user describes above is not uncommon, it does have a number of potential solutions that we shall see shortly. But before we get to how you can fix an iCloud backup that will not restore, let's look at why this problem can occur in the first place. An iCloud backup and restore process requires an internet connection. Therefore an unstable connection could cause the backup to fail a few seconds after you start the restore process. If the backup you are trying to restore was made on a device running an iOS version that the new iPhone Xs/Xr/Xs Max doesn't recognize the restore process could fail. A lack of sufficient storage space on the iPhone Xs/Xr/Xs Max could also cause the restore process to stall. You need space to save all the files on the backup file. Step 1: Turn on the device and you should see the Hello screen. If you had already set up the device, you may want to erase all the content and settings. To do that go to Settings > General > Reset > Erase all Contents and Settings. Step 2: Follow the instructions until you get to the Apps & Data Screen and then tap "Restore from iCloud Backup." Step 3: Sign in to iCloud and then choose the backup that you need. Step 4: Stay connected to the Wi-Fi network until the process is complete. How Long Does it Take to Restore iPhone Xs/Xr/Xs Max from iCloud Backup? Apple's official position is that the time it takes to restore the iPhone from an iCloud backup will depend on the size of the backup and the speed and reliability if the Wi-Fi connection you are using. But they also have a disclaimer; that even with the strongest connection possible, you may still have to wait 1-4 hours per gigabyte for the restore process to be completed. This means you might be waiting hours for your iCloud restore process to complete. To effectively restore an iPhone via iCloud, you need a strong Wi-Fi connection. Therefore, the first thing you should check when your iCloud backup won't restore is the network connection. You can try to connect the iPhone to another Wi-Fi network to see if this is the problem. If you are certain your Wi-Fi connection is working correctly or you have connected to a stronger Wi-Fi network, you should restart the restore process. Sometimes the process can stall for reasons beyond your control. Simply restart the process and you may find that it complete without problems. 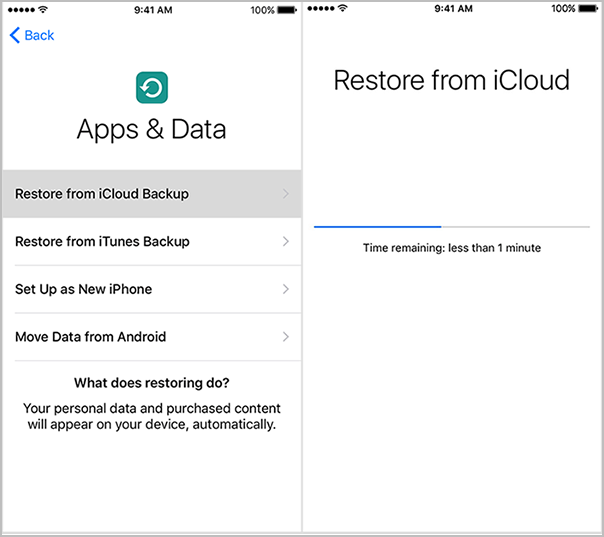 If you try to restart the iCloud restore process and it still doesn't work, you may need an alternative way to restore the iCloud backup. One of the best ways to restore an iCloud backup is to use iMyFone iTransor. 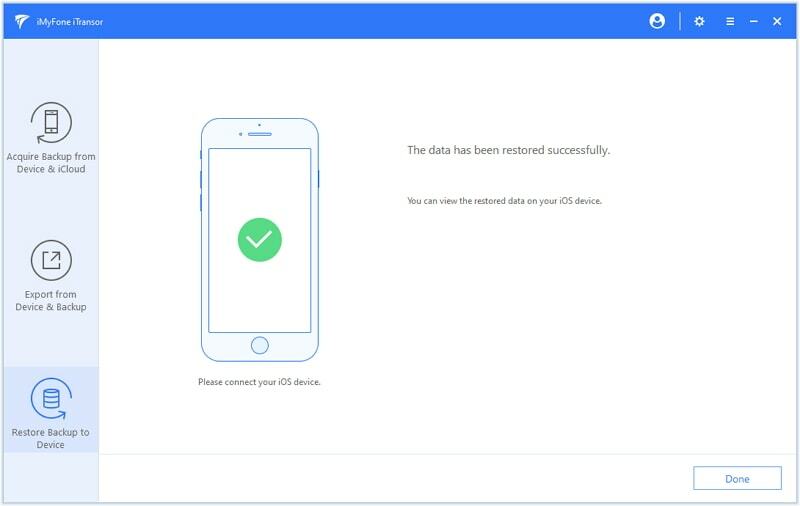 This tool offers a great way to restore data from an iCloud backup without affecting the existing data on the iPhone Xs/Xr/Xs Max. What's even more useful is that you can use it to selectively restore data on to your iOS device. 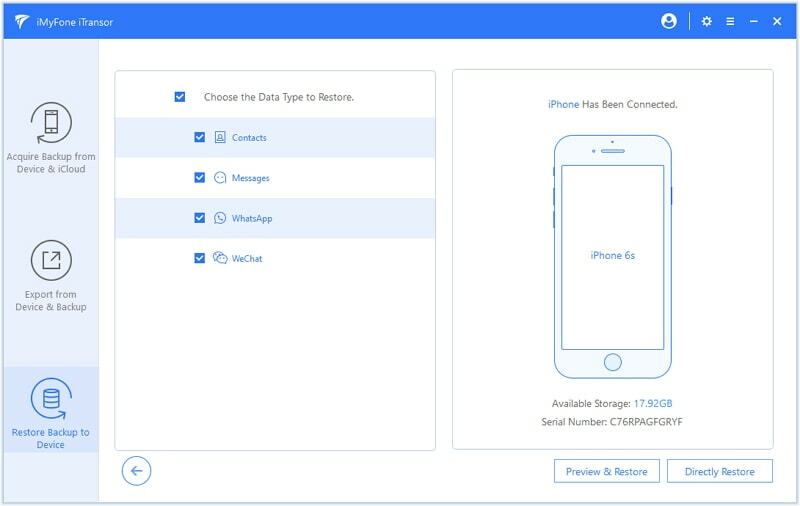 It can restore only messages, contacts, WhatsApp or WeChat Data from iCloud backup if you would rather not restore all data. It can also come in handy when you want to backup contacts, messages, WeChat or WhatsApp data on your iPhone totally for free. It allows users to selectively export nearly 20 different types of data from the iPhone or iTunes/iCloud backups. Step 1: launch the program and from the main window, click on "Acquire Backup from Device & iCloud" and then select "Download iCloud Backup." 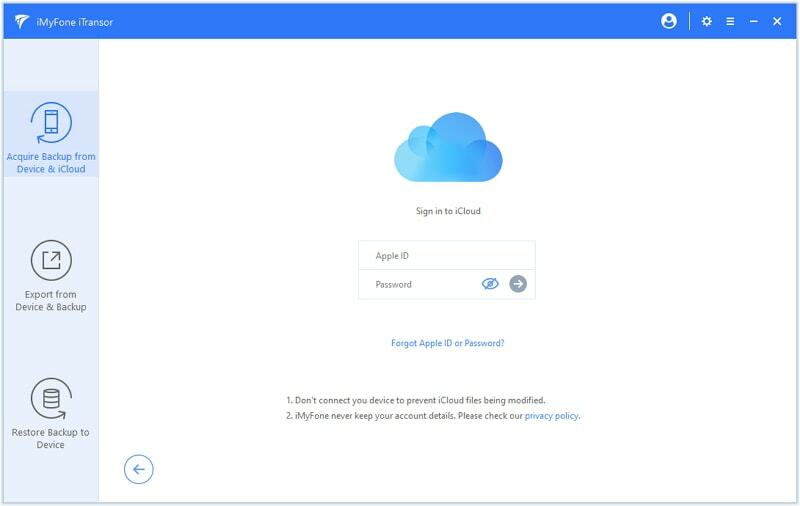 Step 2: Log in to your iCloud account to access all your iCloud backups. Step 3: Choose the iCloud backup you need and then click on "Next" to download the backup. When the download is complete, click on "Restore Data from the Backup". 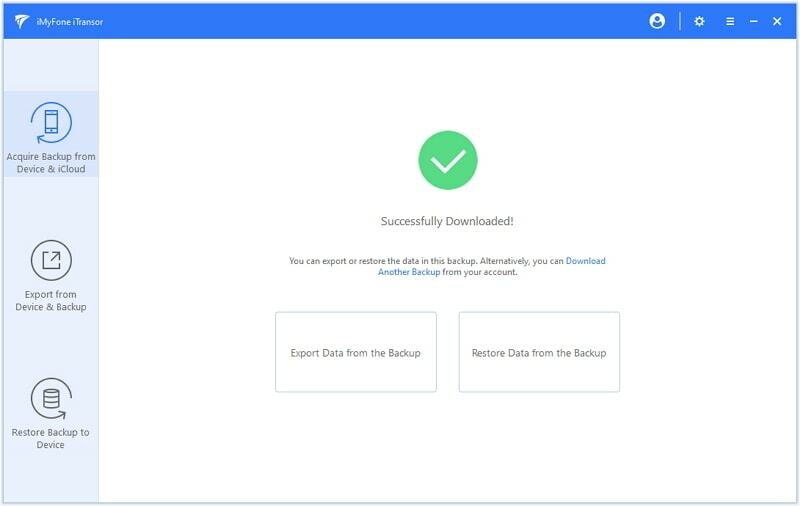 Step 4: In the next window, you can select the backup and click "Next" to choose the types of data you would like to restore to the device. Then you can choose "Directly Restore". 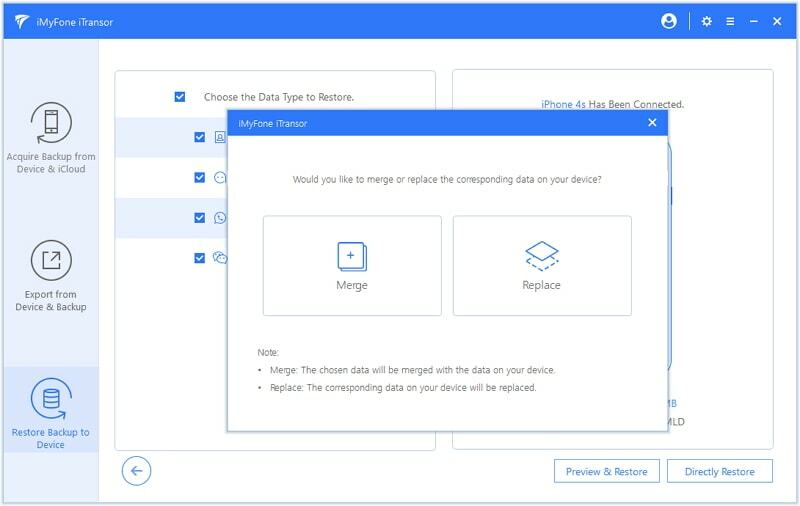 Step 5: In the popup that appears, choose whether you want to Merge or Replace existing data on the device. If you choose "Replace" all data on the device will be overwritten. Step 6. You will be notified after the restore process is completed. It can be quite problematic when an iCloud backup won't restore since it means that you can't use your device. It is our hope that the solutions above will help you fix the problem and get back to enjoying your new iPhone. How to View Encrypted iTunes Backup?